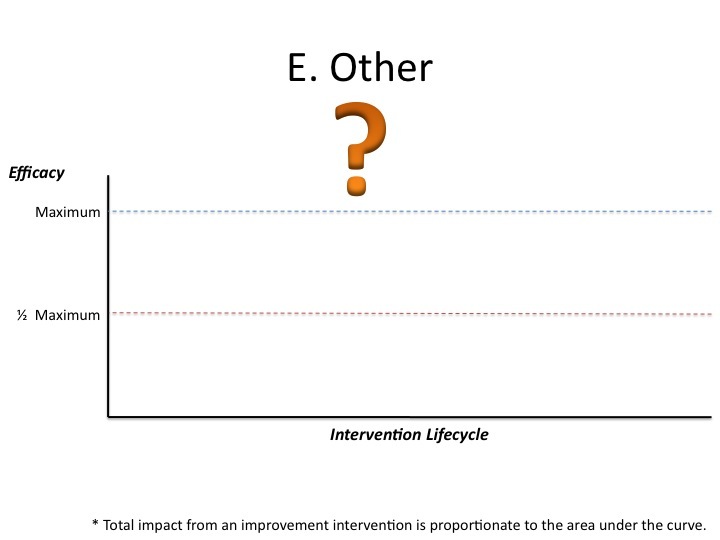 Here is a quick survey to gain an understanding of your experiences and points of view on the topic of improvement methodologies over the past few decades. There are nine questions. All readers will benefit from your knowledge if you post your answers and remarks as a comment to this blog. Thank you ahead of time for your contribution to the knowledge base. I have worked on dozens of business performance improvement efforts with the management of some of the world’s leading firms. During that work I helped implement several improvement methods including quality circles, total quality management, natural work teams, work elimination, business reengineering, business transformation, six sigma, lean, and lean six sigma. Needless to say, there was a wide range of results. This brief survey draws out your own experiences and learning from improvement initiatives with the intent of developing ways to improve improvement methods themselves. And responding to the survey helps build the collective knowledge of like-minded people. Please take the time to participate and help other improvement practitioners. 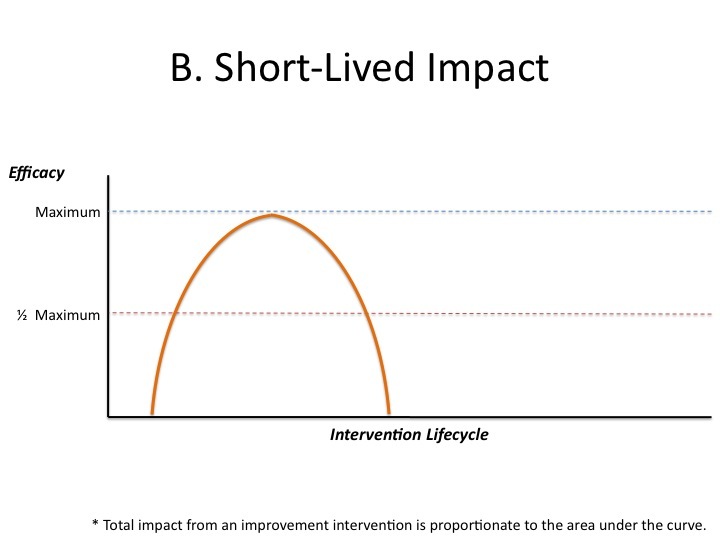 Below you will see four patterns (plus a blank) which depict profiles of the effectiveness of improvement methods plotted against what I call the “intervention lifecycle”. Each pattern reflects a firm’s experience with any improvement method. 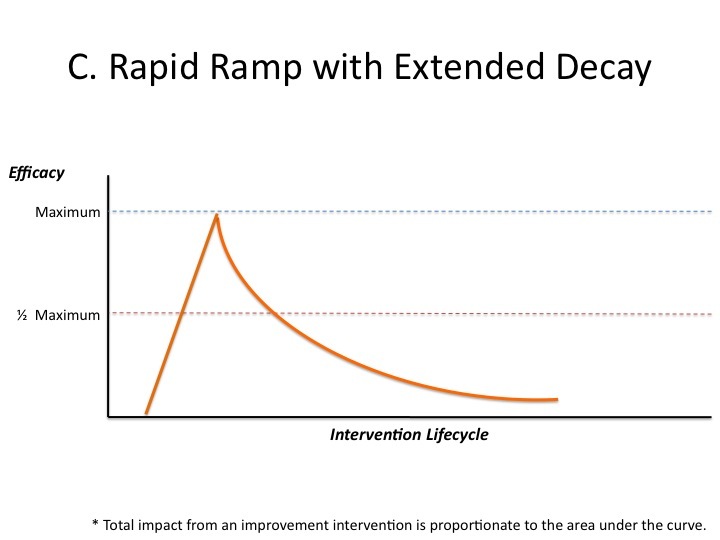 Note that a maximum efficacy is reached in each pattern of improvement with varying speeds. The difference among the patterns is what happens after the maximum is reached. 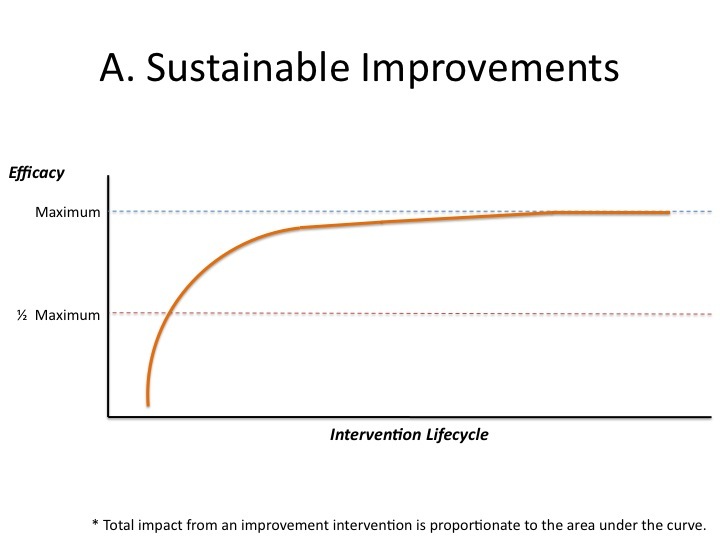 Pattern A represents a true continuous and sustainable improvement method. Pattern B shows a big bang upfront followed by a rapid falling off of results. Pattern C depicts a slow decline of efficacy after reaching the maximum. 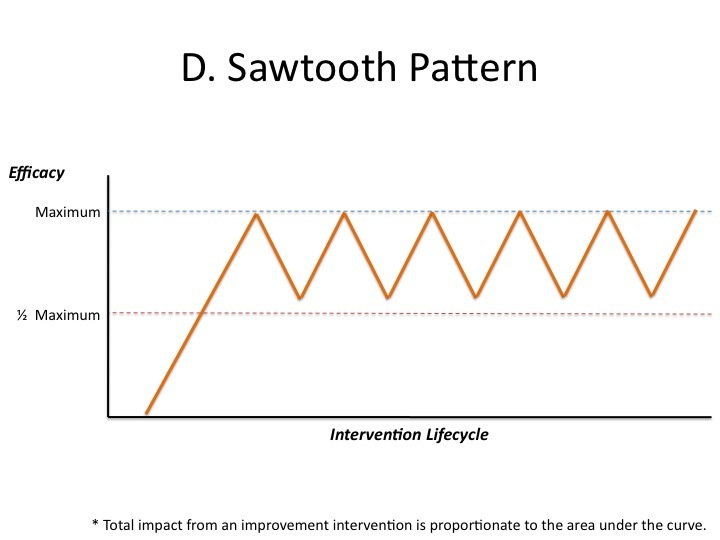 Pattern D waxes and wanes in a sawtooth profile after reaching maximum efficacy. Pattern E is any other pattern you have experienced. Which patterns most closely resemble your experiences at companies with which you have worked either within the companies or as a consultant? Is there another pattern you have experienced that is not depicted? Why did you select the particular patterns you picked? What caused those patterns to emerge? What do you think might have been done to improve the improvement methods being implemented at the time? What, if anything, had been done to ensure true sustainability (as in pattern A)? Any other comments you would like to add?